Randi and Jeramie get married. Home / All / Randi and Jeramie get married. 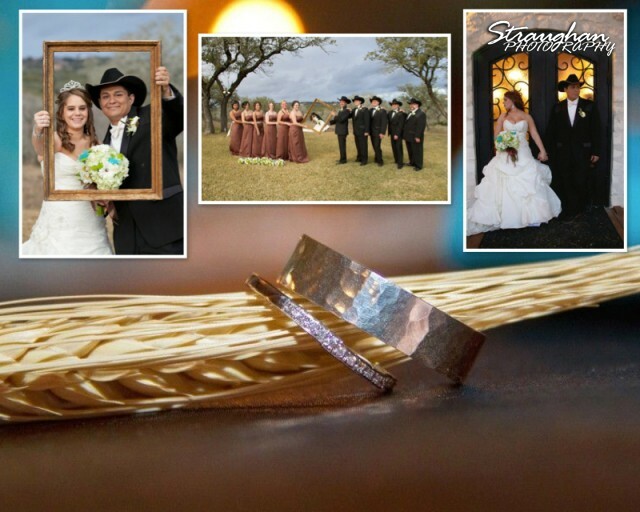 Randi and Jeramie were married February 18, 2012, at Boulder Springs in New Braunfels, Texas. The couple had an afternoon wedding at the pavilion on the hillside, with beautiful teal garland on the top of the arch with little white gerber flowers entwined within. The ceremony was an fun event with many family members and friends. After the rustic themed wedding, all the guest went to the ballroom for some yummy appetizers. They had three beautiful cakes that were amazing. After eating dinner, cake, and the toasts, the couple danced to music from the live band. Thanks for letting me be apart of your day! Congratulations Randi and Jeramie!